65,9% of the people on our planet owns some kind of a mobile device. Smartphones, tablets, and laptops are changing the way we live and the way we think in front of our eyes. Brands must be at the forefront of the change that is taking place if they want to remain competitive in the ever-changing market. 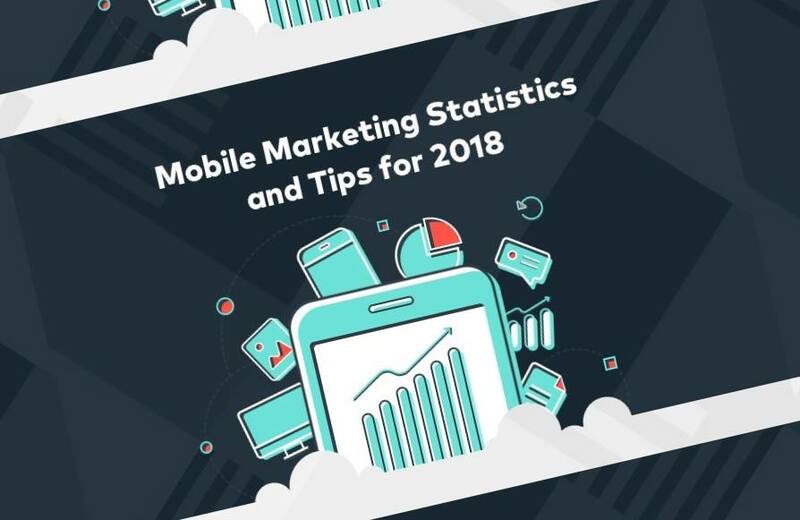 Have a look at the infographic about mobile marketing tips made by Filmora team, and let us know in the comments which of the mobile marketing tips you find the most useful. Mobile Marketing seems to be the way of the future because young people aged 16 to 34 spend more time on mobile devices than any other age group. These same young people spend their time on social media networks such as Facebook, Instagram or YouTube, and placing your mobile ads on these platforms can boost the sales of your products and services. Mobile devices are used for 75% people spend on social media which clearly demonstrates why mobile marketing is the way to reach new markets in 2018. The mobile marketing doesn't end with the production of several videos because the statistics show that having a mobile-friendly website is of utmost importance since 61% of website visitors are unlikely to return if they've experienced any difficulty accessing the web page. Developing a highly efficient mobile payment system is essential for mobile marketing strategies because it will make your products and services more assessable to users around the globe. In only a few short years we have seen the rise of new technologies such as the Virtual Reality. The number of active VR users has grown from 200,00 in 2014 to 50 million in 2017 and estimations say that in 2018 that number can inflate to 171 million. These new technologies affect the Education, Tourism or Entertainment industries the most, and businesses who are willing to take the risk and invest in VR and AR might benefit from it within the next year.